Grandia II, a fantastic RPG from the days of the Dreamcast, is going to be completely remastered and released on the PC via Steam by GungHo Online Entertainment in collaboration with GameArts, the original developer. Grandia II is getting remastered for the modern PC and will be released via Steam. GungHo Online Entertainment has announcned that development is now underway on an HD remaster of the classic RPG, Grandia II, after very positive feedback from a survey they sent out recently. With the remaster comes upgraded graphics, improved sound and will hopefully maintain the amazing original soundtrack. Full keyboard and mouse as well as controller support will be included. To begin with, GungHo Online Entertainment will utilize the Dreamcast version as their base for development. Being released on Steam means that there will be full integration with Steam’s achievement and trading card system to be able to reward players for their journey within Grandia II. No release date has been mentioned, though that’s because development has just begun. With the rise of digital downloads, it is especially important that classic games continue to remain available to play in some form. 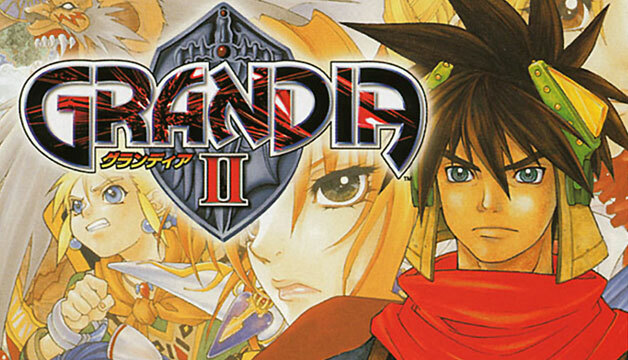 Grandia II was chosen for a PC re-release because it represents both a hallmark of the Grandia series and an example of how great JRPGs can be. Grandia II was originally released in 2000 on the Dreamcast to very high praise. Due to the discontinuation of the Dreamcast, GameArts reworked and released Grandia II on the PS2 in 2002, though to much more criticism as it lacked in quality compared to the original. Grandia II was also released on the PC in 2002, though it too was plagued by many issues and glitches. The game is set thousands of years after a battle between Granas, the god of light, and Valmar, the god of darkness, nearly destroyed the planet. The Church of Granas later formed that led humanity to prosperity by spreading the word of good. The story centers around a young mercenary named Ryudo, who is supposed to protect a songstress named Elena, and during their journey they discover that the history of the world may not be what it originally seems.